Ovarian Cancer: How Is It Treated and Is It Preventable? ​Ovarian Cancer: How Is It Treated And Is It Preventable? ​The treatment goal for ovarian cancer is to remove as much of the ovarian tumour as possible. The Department of Obstetrics and Gynaecology at Singapore General Hospital explains in detail. The gynaecological cancer team at the Department of Obstetrics & Gynaecology, Singapore General Hospital (SGH), a member of the SingHealth​ group, shares the various ways ovarian cancer is treated and how you can lower your risk. According to the gynaecological cancer team at the Department of Obstetrics & Gynaecology, Singapore General Hospital​ (SGH), treating ovarian cancer generally involves surgery. 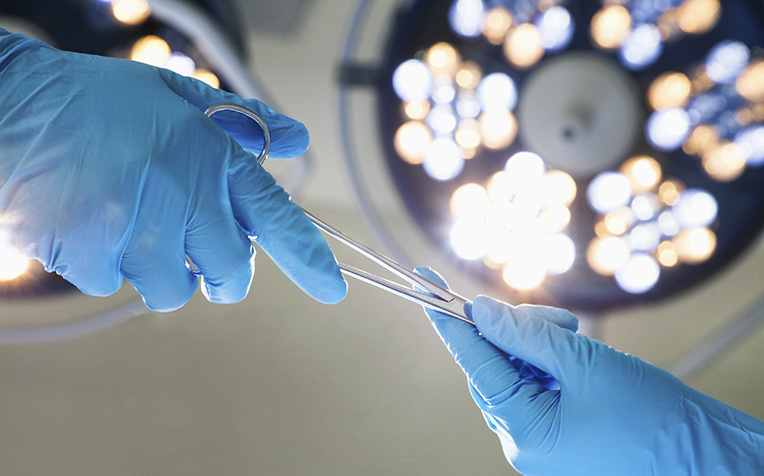 The type of surgery will depend on the stage and type of cancer. In the early stage of ovarian cancer, surgery may be the only treatment that’s needed. However, in the advanced stages of the disease, a combination of surgery and chemotherapy is usually required. ​​Stage 1: The tumour is limited to one or both ovaries and can be found on the surface of the ovary. Stage 2: The tumour has invaded one or both ovaries and extended to the pelvic region but not to the abdomen. Stage 3: The tumour has extended to the abdominal organs. Stage 4: The cancer has spread to the lungs, liver or lymph nodes in the neck. The second goal is to remove as much of the tumour as possible. This is known as debulking. Successful debulking surgery gives the patient a better outlook. If the cancer is diagnosed at a very early stage where it’s confined to just one of the ovaries, only the affected ovary and adjoining fallopian tube need to be removed. With the unaffected ovary and womb left behind, you may still be able to have children in the future. In most cases where the cancer has spread to the omentum (an apron of fat covering the abdominal contents), surgery will include removal of both ovaries, the uterus (womb), the fallopian tubes, nearby lymph nodes and the omentum. As a result, the patient begins her menopause immediately and is no longer able to conceive. Chemotherapy involves injecting drugs into the bloodstream to reach all areas of the body with the aim of killing cancer cells that may have spread. A majority of women with ovarian cancer will require chemotherapy after surgery; however, it can also be given before surgery. Treatment usually involves 6 courses of chemotherapy with each course given 3-4 weeks apart or alternatively a weekly regime for 3 weeks with a week break between courses. Even after completion of chemotherapy, follow-up examinations are recommended every three months for the first two years and subsequently, every four to six months in the following years. Avoid obesity – Excess body fat increases the risk of ovarian cancer. Eating healthily and engaging in regular exercise, especially during one’s teenage years, may play a preventive role. Have regular health assessments – This is especially so for women at high risk such as those with a family history of ovarian cancer, or who are carrying the breast cancer gene 1 (BRCA 1) or breast cancer gene 2 (BRCA 2). Having children, and breastfeeding them – Each full-term pregnancy reduces the risk of ovarian cancer. Breastfeeding may help to lower the risk even further. Using contraceptive pills – The longer a woman has used birth control pills, the lower her risk of ovarian cancer. This reduction continues for many years after the pill is stopped, and even taking the pill for only six months has an effect.